Time flies and can't believe that it's now 2018. 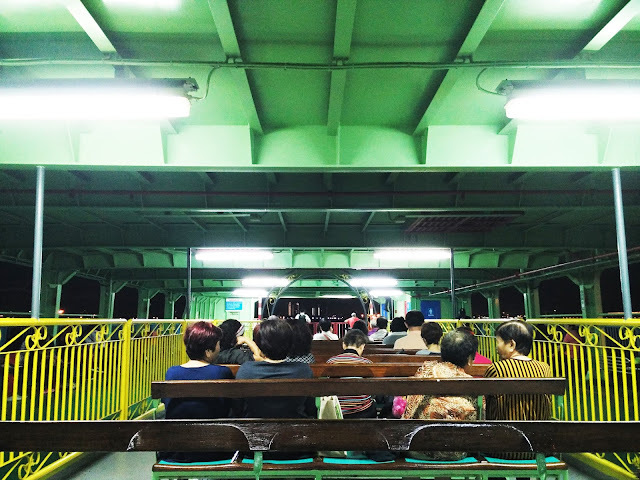 Looking back my dear 2017, it was really a hectic year until I can't really focus much on my blogging. 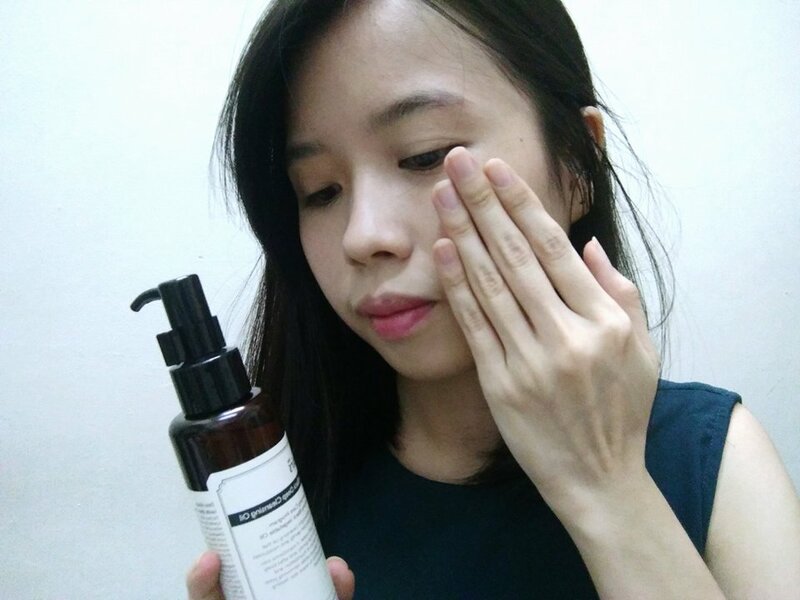 Therefore, one of my new year resolutions is to blog more about skincare and makeup so I dedicated my first blog post in 2018 to "My Current Nightcare Routine in 2018" which I think most of you might be interested with it. 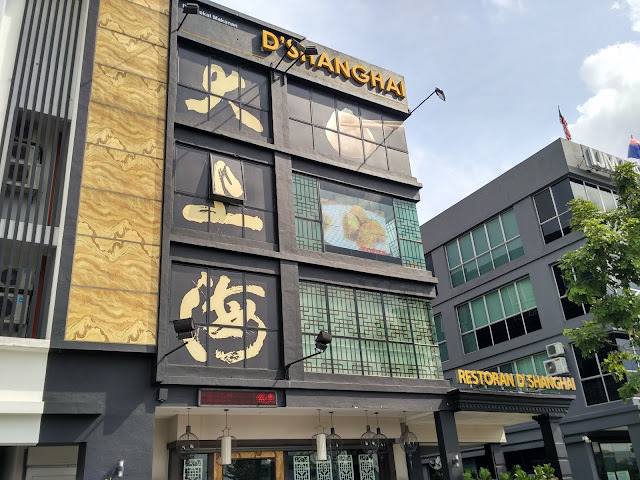 Just done my final exam last month and the most significant side effect I can see after months of insufficient sleep was dull skin, visible pores and pimples. To get back my glowing and radiant skin complexion, I had tried some skincare products from Klairs that focus on whitening and recovering. 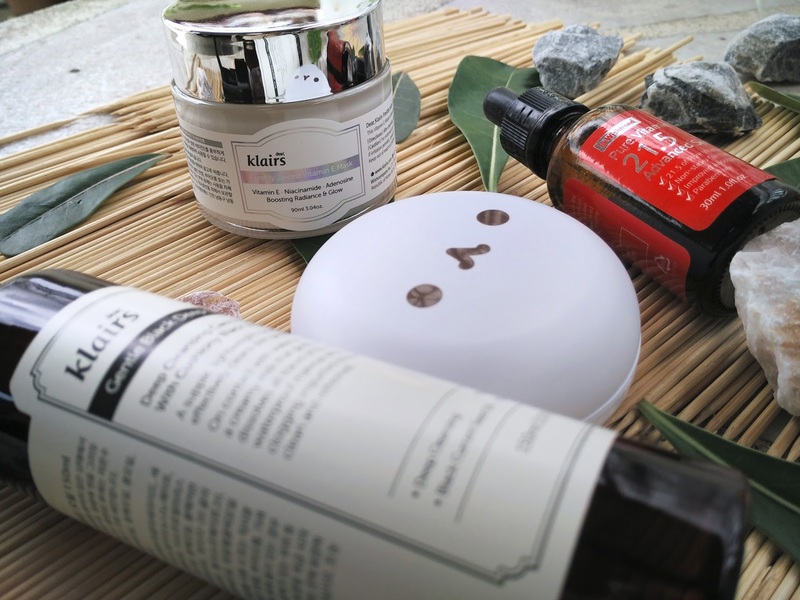 Surprisingly, these products never disappoint me where I can somehow observe improvement in my skin condition after using it for a period of time. Products from Klairs. My first impression towards these products was their packaging: Simple & Classic. Regardless with or w/o makeup, cleanser and makeup remover is a MUST for me because I will feel insecure without cleansing my face properly. 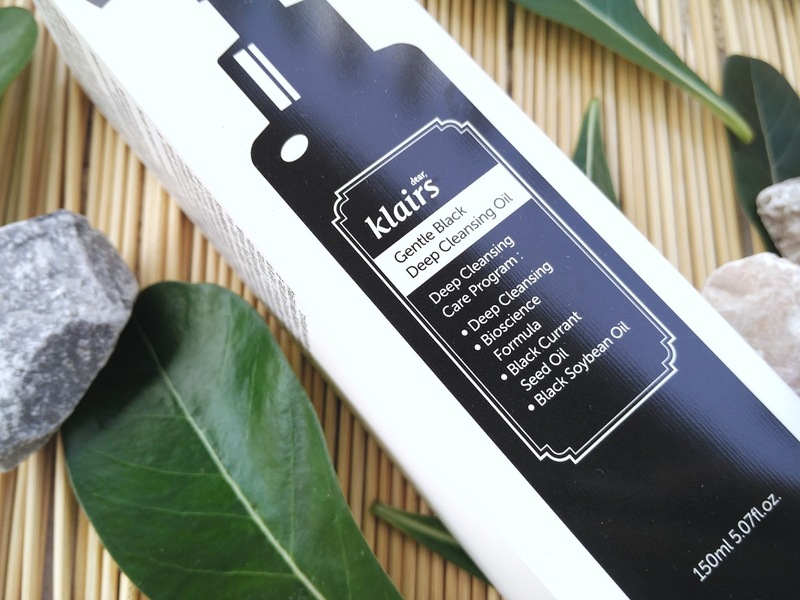 Formulated with black bean oil, black sesame oil and black currant seed oil, Klairs Gentle Black Deep Cleansing Oil is a good choice not just to clean my skin deeply, the combination of natural black grains can gently help to nourish and protect my skin from dehydration and ageing. Honestly speaking, I do not really encounter any major skin problem, but I have the problem with rough skin around T-zone area due to the accumulation of blackheads and dead skin cells especially during exam period or after I'm back from travelling. This Gentle Black Deep Cleansing Oil is a good ideal for me because it promotes skin cells regeneration and antioxidant effect. 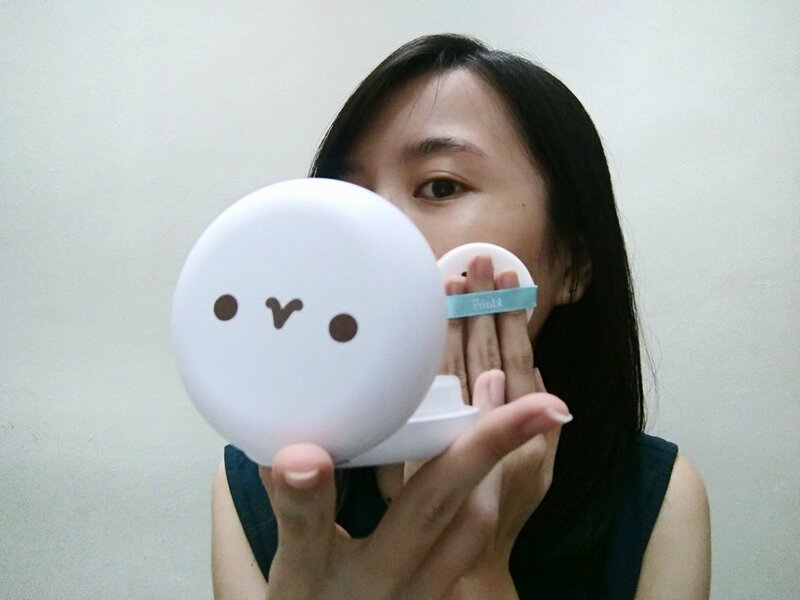 As it provides skin care effect while cleansing face, my skin feeling smooth and refresh after regularly using it. I have a phobia with oily products because they always ended up with a terrible-messy-oily situation if the packaging is not well-designed (The bottle always messes up with the oil!). 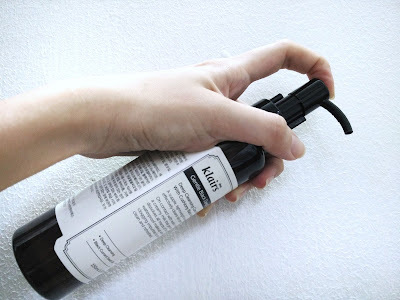 However, the packaging for Gentle Black Deep Cleansing Oil is user-friendly. Eliminate the hassle of pouring it on the cotton pad, you will just need to pump an adequate amount of the cleansing oil onto dry palm, gently massage over face in order of forehead, face and cheeks, rinse off with lukewarm water and you are done. Moreover, the bottle comes with neck lock to prevent spillage. Everything is so simple and convenient. Thumbs up for it. As the name implies, it is a cleanser with thick and oily texture. The scent is mild and comfortable too. After massage in a circular motion for few minutes, milky residue from the makeup can be seen. It works gently and effectively on the skin. 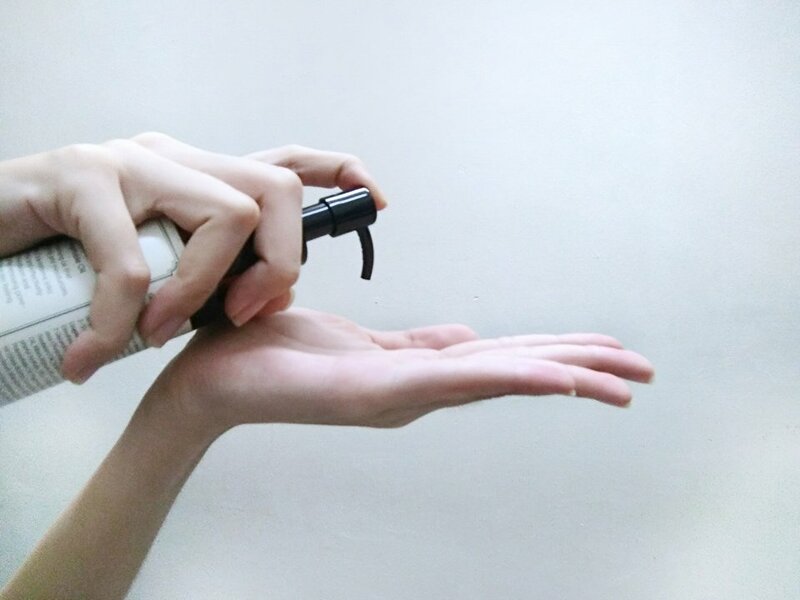 Unlike some cleansers that will leave a tight and dry sensation, Gentle Black Deep Cleansing Oil gives a smooth and elastic effect on my face. Give it a try if you have been searching for a good cleansing oil. After cleansing and toning, the next step for my skincare routine will be applying my favourite of this month: Klairs Freshly Juiced Vitamin E Mask- A whitening sleeping mask that suitable for those that desire moisturizing or anti-aging effect. 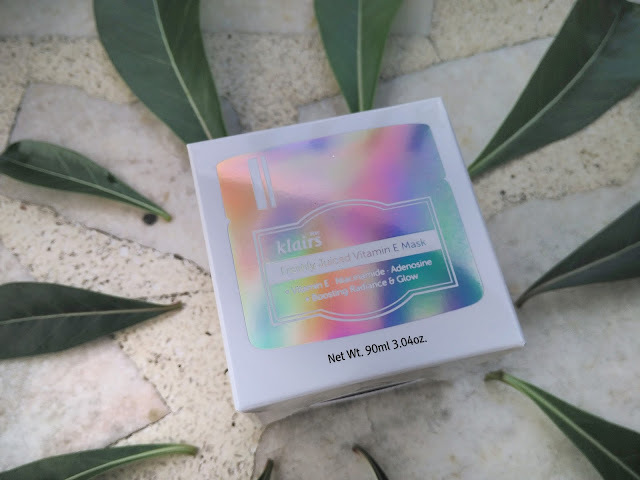 As mentioned on their website, Klairs Freshly Juiced Vitamin E Mask is most effective when used with vitamin C. The two vitamins perform effectively with each other through the antioxidant network and protect our skin from active oxygen radicals, thus preventing aging. In addition, vitamin E prevents vitamin C from being oxidized before being absorbed by the skin, intensifying the skin-improving effects of vitamin C.
I personally like the texture of the mask. It's neither creamy nor watery form but instead, it has a pudding-like texture. 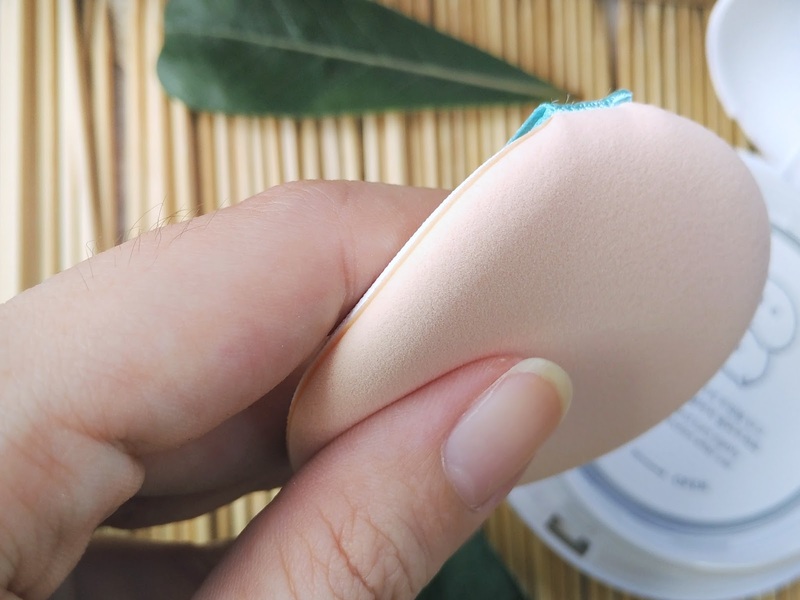 After taking a small amount, the remaining will revert back to their original shape so it will always have a smooth surface each time you open it. (Best for OCD like me!). In fact, the texture helps the product tightly adhere to the skin, giving an even and flat surface during the application. What I like the most is that Klairs Freshly Juiced Vitamin E Mask has a superb nourishing power. In contact with skin, the pudding-like texture will transform into a rich essence which can lock the moisture for at least 8 hours. It calms my skin and I must say that it absolutely absorbs well in my skin in just a few seconds. 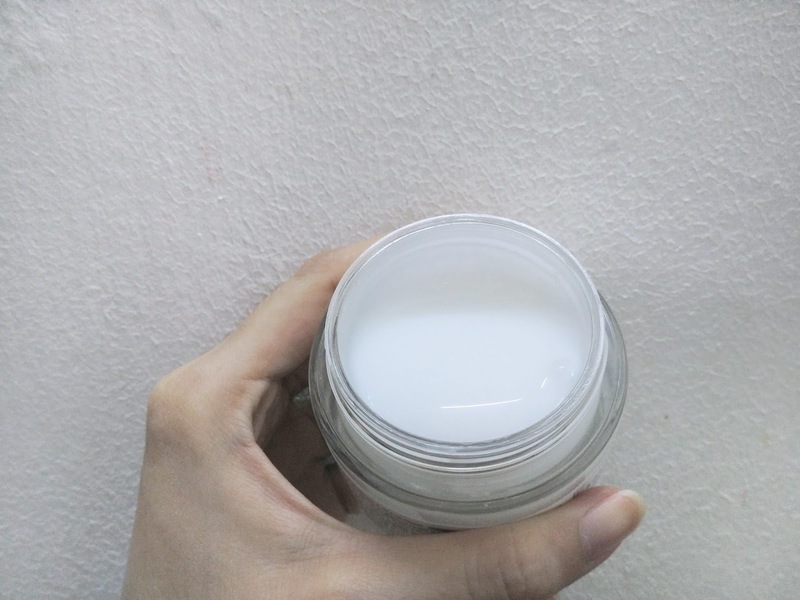 After absorbed, it serves as a protective layer that increases the moisture content of my skin. I can feel that my skin is getting brighter and less oily after applying it for few days. 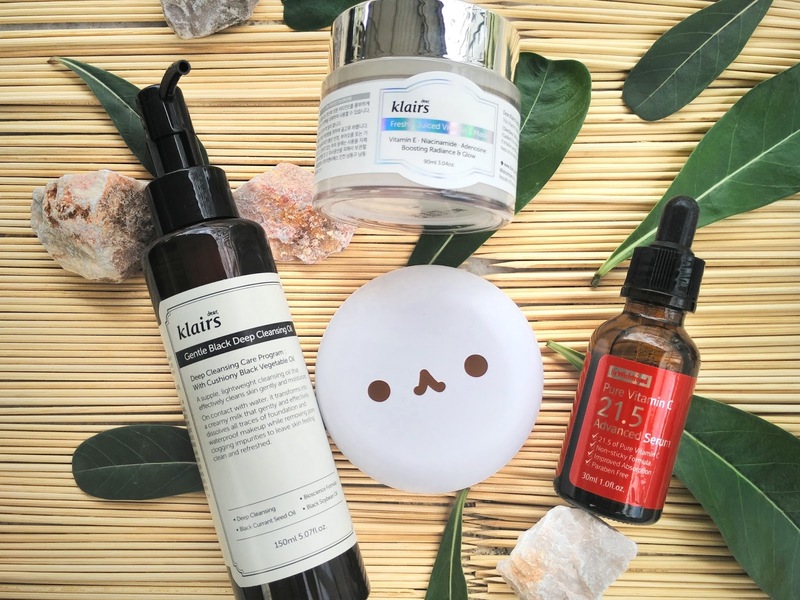 Recommended for those with oily skin that looking for a skincare that can provide nourishment on skin without causing sticky feeling. 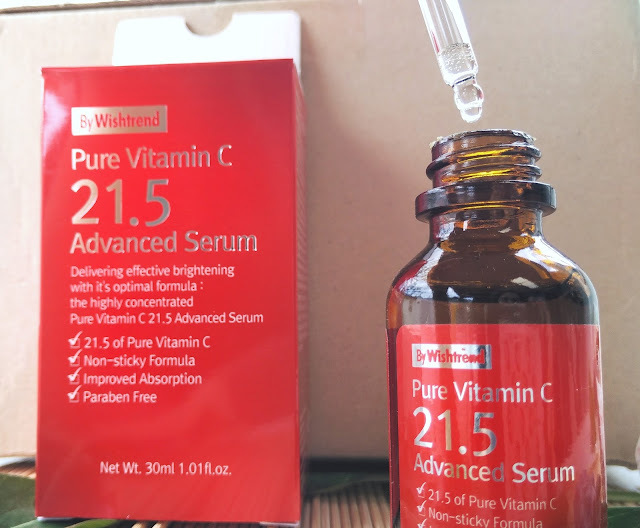 As mentioned earlier, Klairs Freshly Juiced Vitamin E Mask is most effective when used with vitamin C. Therefore, I will apply drops of By Wishtrend Pure Vitamin C21.5 Advanced Serum every day after the Vitamin E mask as the last step of my basic care. 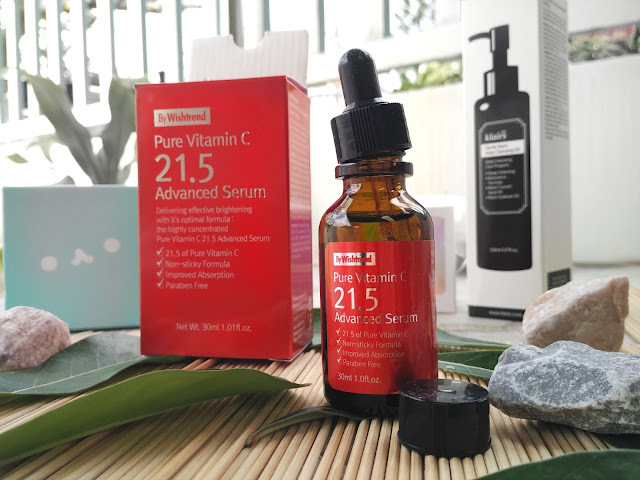 As compared with the older version, the upgraded formula of By Wishtrend Pure Vitamin C21.5 Advanced Serum is prescribed with a higher level of pure vitamin C (21.5%) that helps to reduce acne scars and tone-up your skin. It is recommended for oily and trouble skin type because it can readily replenish moisture on the skin and at the same time, restoring suppleness with its optimal pure vitamin C.
It serves with a dropper so you can easily control the amount that you want to apply. 2-3 drops will be sufficient for my entire face. By Wishtrend Pure Vitamin C21.5 Advanced Serum has watery and light texture. In fact, the all-natural improved formula tries to lower the stickiness on the skin therefore it is not a burden for my face. Due to the high content of ascorbic acid, it gives a tingling sensation but I can see the immediate result on the next day without causing any breakouts. Overall, the immediate brightening effect is visible that provides me with a fairer skin tone with a radiant glow. The effect is superb I would say! Side note: As pure Vitamin C is sensitive to surrounding environment, it is recommended to store in the refrigerator to maintain its effectiveness. When exposed to outdoor activities, it is best to apply sunscreen on your skin after the serum to prevent it from degradation. With all the good products work on skin, I can feel and observe that my skin condition is getting better after using them. 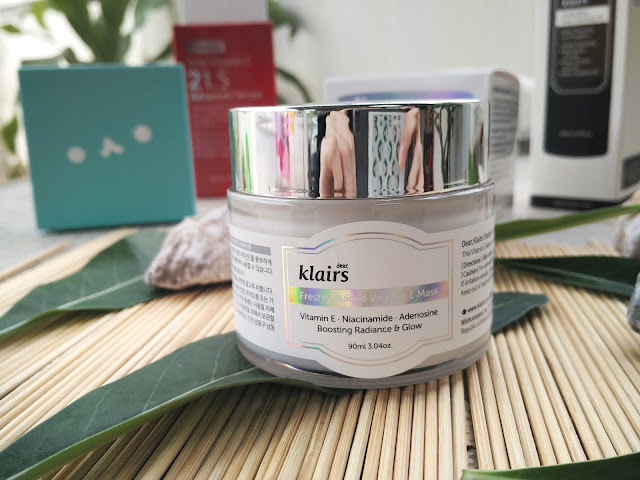 Not only skincare products, Klairs did a great job in their makeup products as well! I swear that every girl will get mad with this little cutie! This is the cutest cushion that I had so far and I can't stop capturing photos of it! 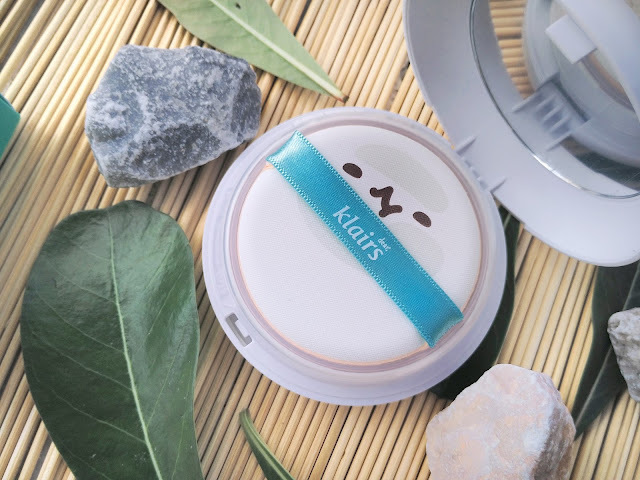 As compared with other BB cushion, Klairs Mochi BB Cushion is smaller in size. Best to fit into your cosmetic bag and easy to bring around. 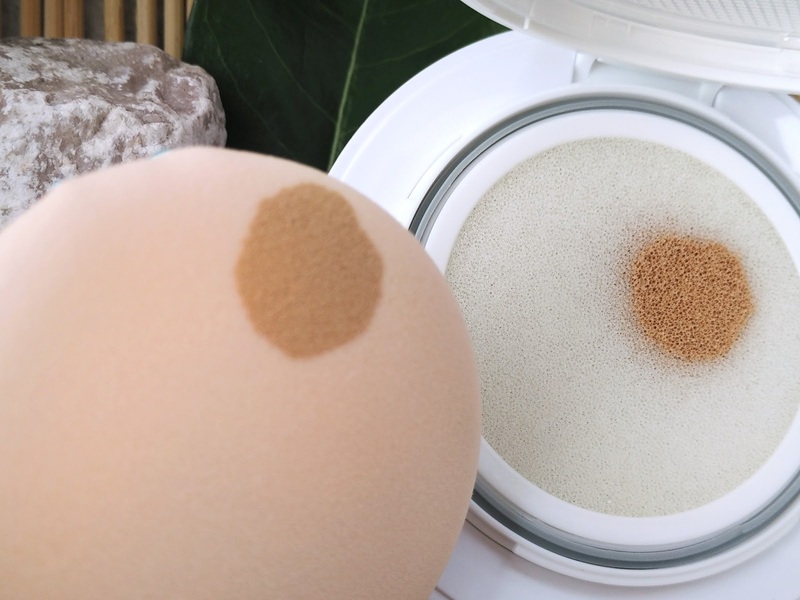 Surprisingly, there is only one shade available for Klairs Mochi BB Cushion. I was like "What? How can it suits all skin tones with just one shade?" The colour seems the way too dark for my skin but in fact, it is the so-called apricot-beige tone that complements both yellow and red skin in a natural way. In another word, it neutralizes the redness of the skin and at the same time, brightening the dull skin tone. One product fits ALL, salute to Klairs that did a good job on this. 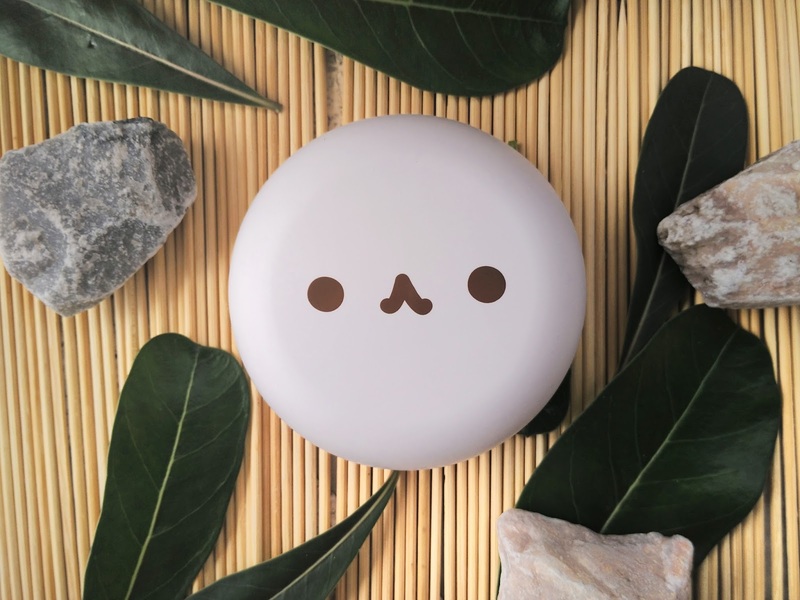 Mochi BB Cushion is designed as a balm-type product rather than a liquid. Therefore, it can fill in the pores for a natural and flawless finish. Most importantly, it is formulated to fight against sweat and oils all day. I tried to wear it under the hot blazing sun and believe me, it is long-lasting :) Definitely a life-saviour for summer! As overall, the coverage is medium where it is able to cover 60% of my freckles and red spot. To give a better coverage on the certain part of your skin, try to dap on that particular area for the second time in lieu of concealer. 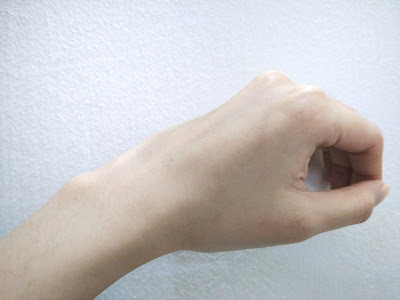 It gives a similar effect of concealer as well! Generally, it is moist but when adheres to the skin, it gives a natural matte finish which is best for my combination skin. 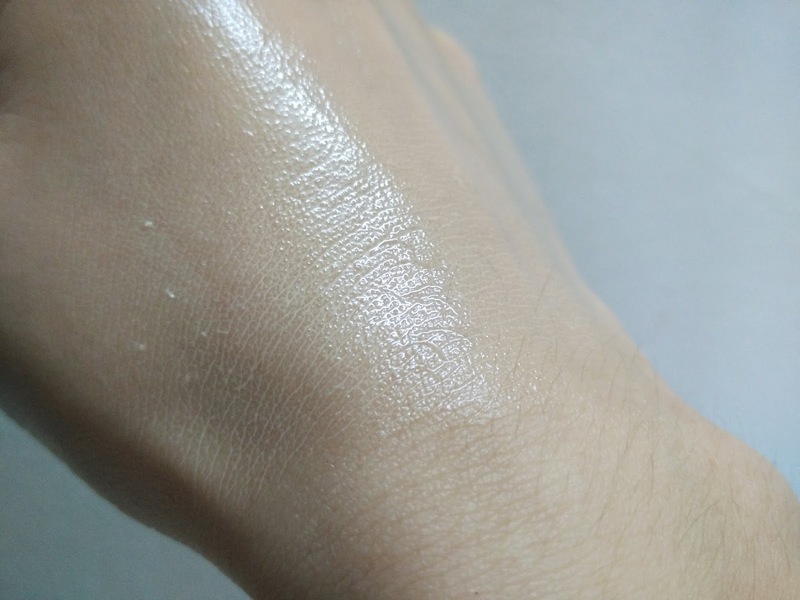 After a long day out, it is slightly oily but it is ok for me because I like the natural shine on my face. For more information, kindly visit https://goo.gl/kg3uKA or through Instagram @hermomy.